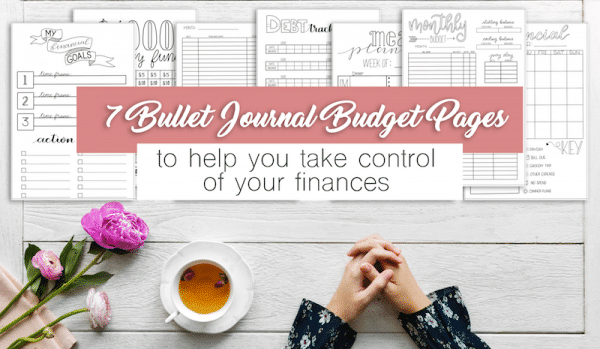 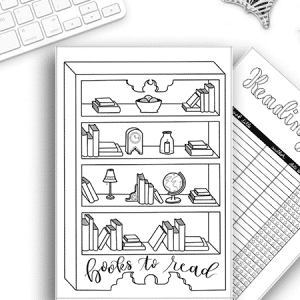 This printable bullet journal budget bundle includes 7 A5 sized pages in your choice of dot grid or blank. 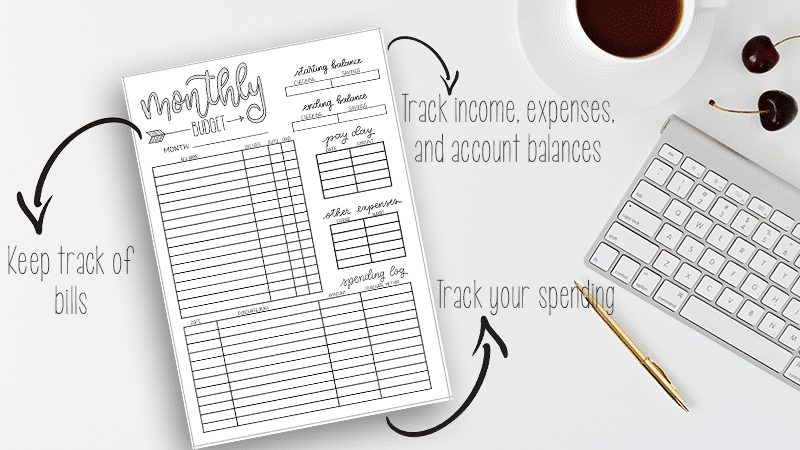 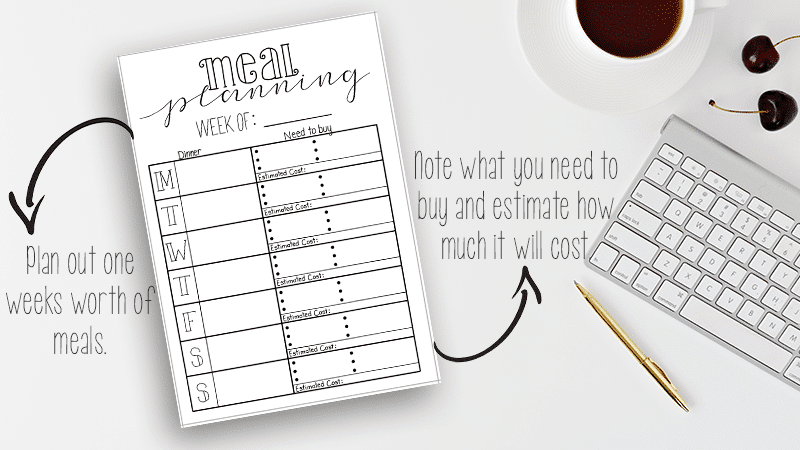 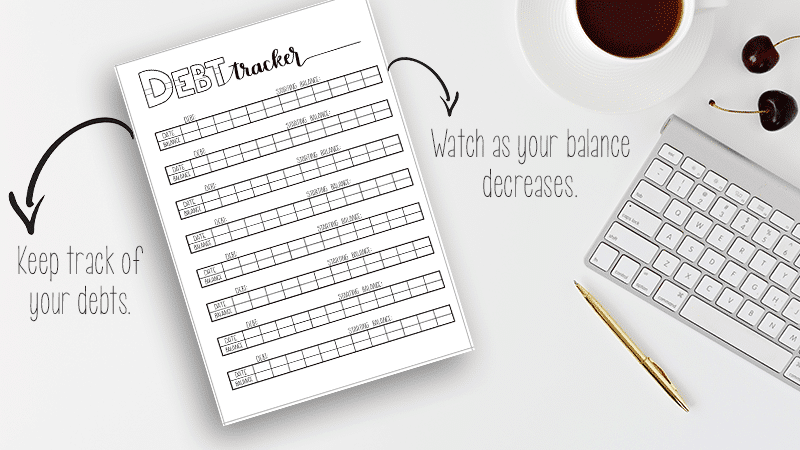 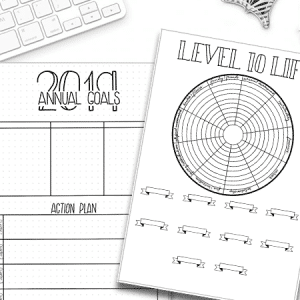 These pages are hand-drawn and designed to help keep you on track with your budget. Take control of your finances with these 7 hand-drawn bullet journal budget pages. 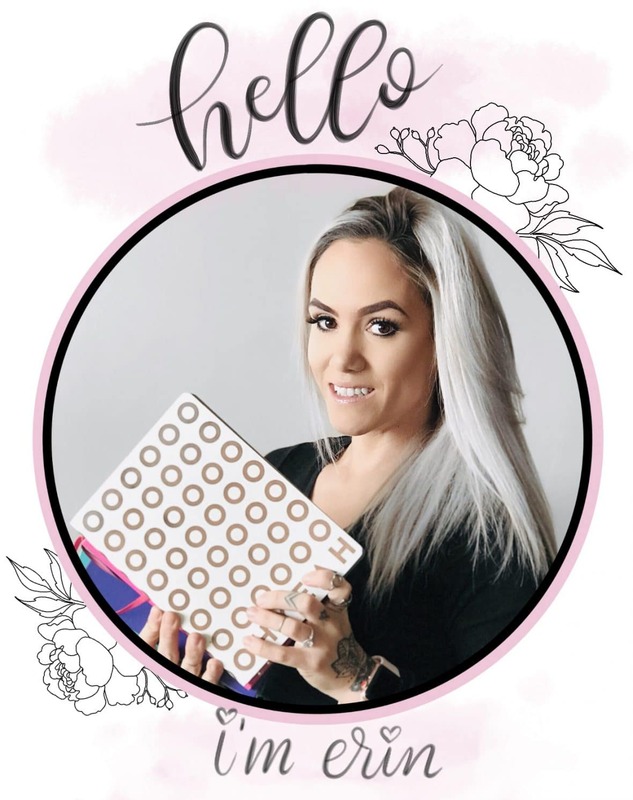 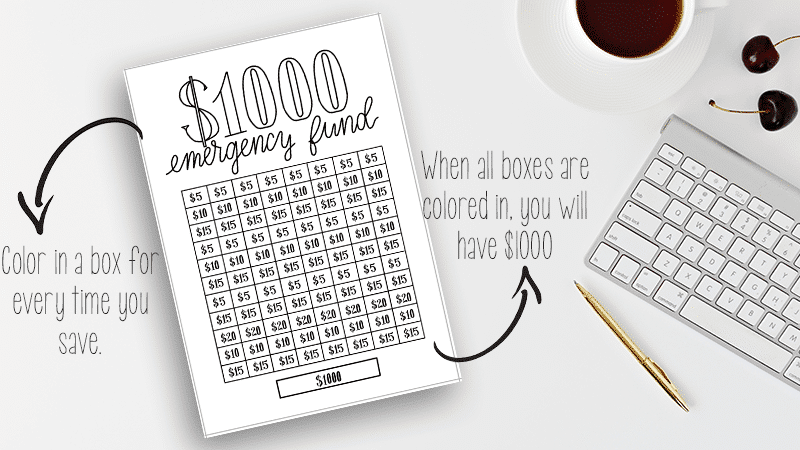 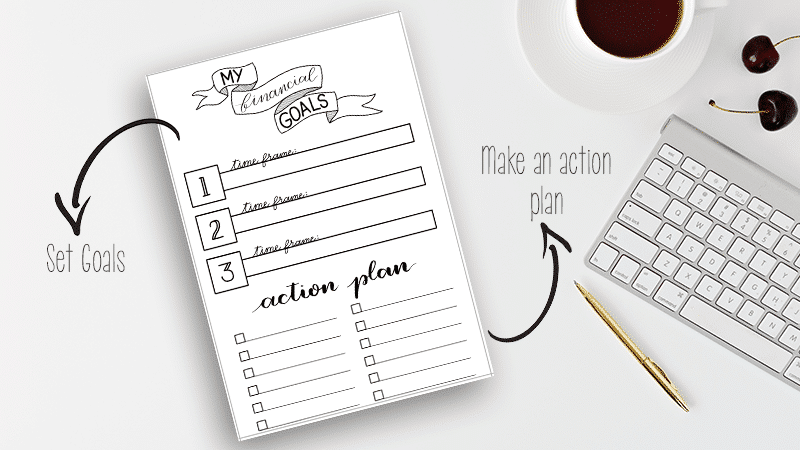 This bundle includes a financial goal setting page, a monthly budget page, a spending log, a debt tracker, a weekly meal planner, a monthly financial calendar, and a $1000 emergency fund savings tracker page. 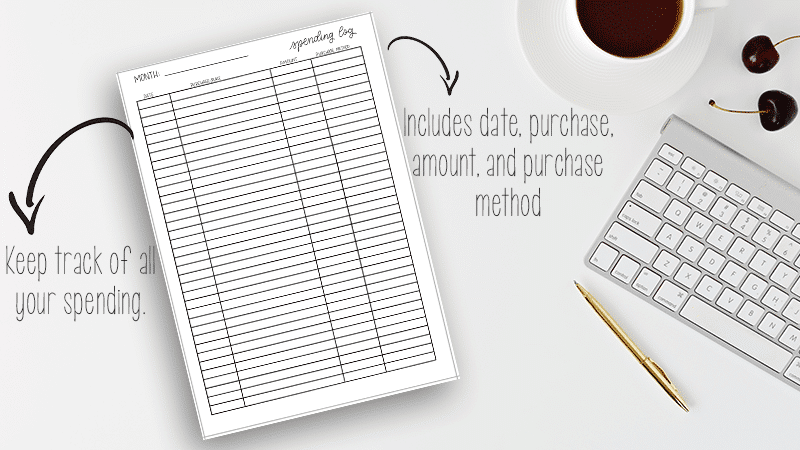 Once you purchase this download you can print out your pages as many times as you want. 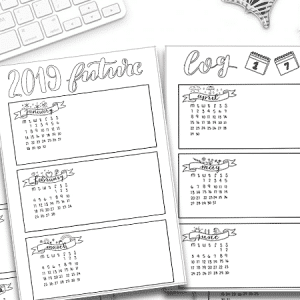 These pages are not month specific, so you can use them month after month. 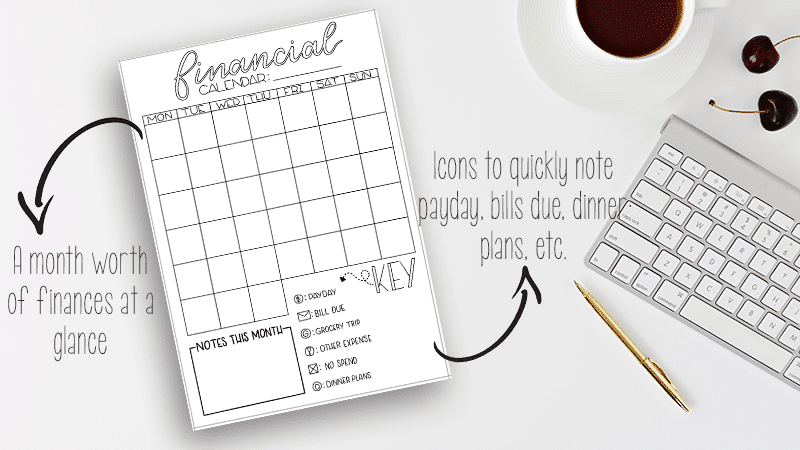 I have written a post going into great detail on how to use these pages efficiently. 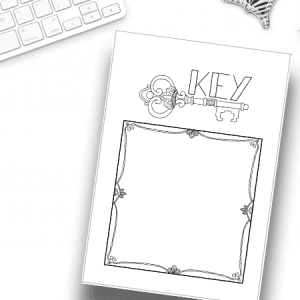 I recommend checking it out if you purchase this bundle.